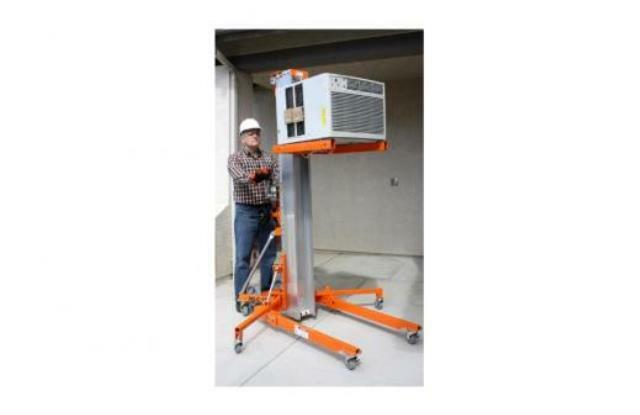 LIFTSMART MLC18; LIFT HEIGHT WITH FORKS UP: 18'6, HEIGHT STOWED: 7'3"
LENGTH STOWED 2'10", LENGTH OPERATING: 6'1", WIDTH STOWED: 30.5"
NOT BE ITS PHYSICAL LOAD CENTER. HEAVIEST SIDE SHLD BE CLST TO MAST. * Please call us with any questions about our material lift liftsmart mlc 18 rentals in Highland MI and surrounding cities in Central & Southeast Michigan.